We’ve been talking about Negative SEO since the advent of Penguin and many still wonder whether it’s a real threat. The lore is that Google will protect websites from losing traffic due to negative SEO, but is this the truth, or a just myth propagated by Google? Think about it: what happened to the thousands of individuals who used to make a living offering cheap link-building services with 10,000 directory submissions and 500 article submissions? Since this black hat approach simply doesn’t work to rank sites anymore – in fact, the effect is the opposite – why not use the same skills for a different product or service? There are entire companies that have survived by relying on these tactics. Instead of trying to compete in the “content marketing” game, where the ante has been seriously upped, why not stay in their game by obliterating the competition? You can find dozens of these gigs on Fiverr – as well as many individuals on sites, like freelancer.com and upwork.com – who offer these services. And for those who used to be in the black hat game, firing up software to drop blog comments, forum and profile links doesn’t take much and costs next to nothing. As an experienced Penguin Audit Analyst who’s conducted hundreds of audits and penalty recovery campaigns, I’ve learned to identify sites that are vulnerable to attacks. Generally, sites that can sustain Negative SEO attacks have old, established link profiles with enough volume and authority not to be negatively impacted. Large retail brands, old informational sites, niche authorities: these sites can survive most Negative SEO attacks without experiencing a significant loss of traffic. 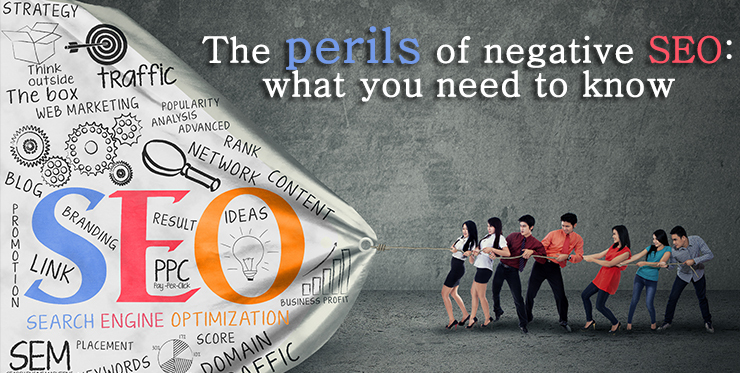 Other sites, such as those with few links or not many with authority, can be easily impacted by Negative SEO attacks. And unless the site owners are carefully monitoring their link profiles, including monthly link audits and reviews, they may not know until it’s too late and a Penguin penalty or a manual penalty has already been applied. Recovery from penalties is difficult and time consuming. Even if you jump through all the hoops, your site still may not recover to its pre-penalty days. How Can You Protect Your Site from a Negative SEO Attack? Start by monitoring your link profile carefully. Use a variety of tools – Google Webmaster Tools, Bing Webmaster Tools, Ahrefs, Majestic, Moz – to keep track of all of your inbound links. Compile all of your links from all of these sources into one list, using Excel formulas to dedupe, and compare with a previous list to identify new links gained. Once you have a list of new links acquired, review these links to determine the quality. Are these links healthy? What is the Domain Authority, SEMrush rankings, Trust and Citation Flow? Review various quality markers for each of the sites to determine if they are healthy or not. Are the sites using keywords in anchor text? If you didn’t build these, then it’s obvious that you are being targeted for a Negative SEO attack. By monitoring your profile carefully and tracking at least every every two to four weeks, you can catch an attack the moment it starts, and update your Disavow file with problematic sites. If you catch them quickly, you can mitigate the possible impact of those sites on your rankings. It’s important to add any potentially suspicious sites, as every low-quality site or anchor text keyword can offset your ratios and trigger a penalty. When I received that email, I knew that thousands of other individuals must have, as well. And as much as we’d like to believe everyone have the best of morals, the reality is that some people will be infinitely attracted to this type of proposal. If one of your competitors takes up a Negative SEO strategy, the results to your business could be devastating.